Let the scares begin! Muahahahaha!! Good morning all! This is Melissa and I will be your host during this prompt. 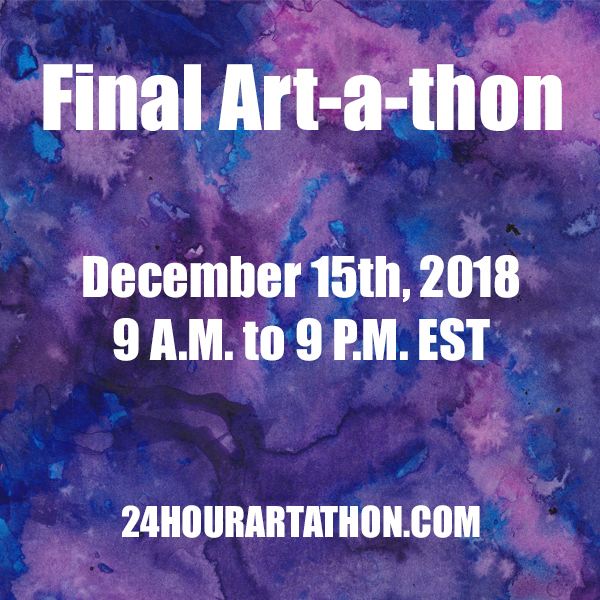 Are you ready to begin a spooktacular art-a-thon? I know I am. 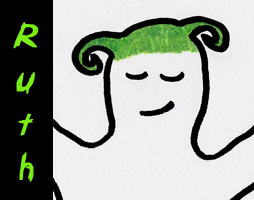 If you haven’t already guessed the theme for this art-a-thon it is Halloween. I love Halloween. Its my favorite holiday. Probably because my favorite genre is horror. Now on to the first prompt of the day. 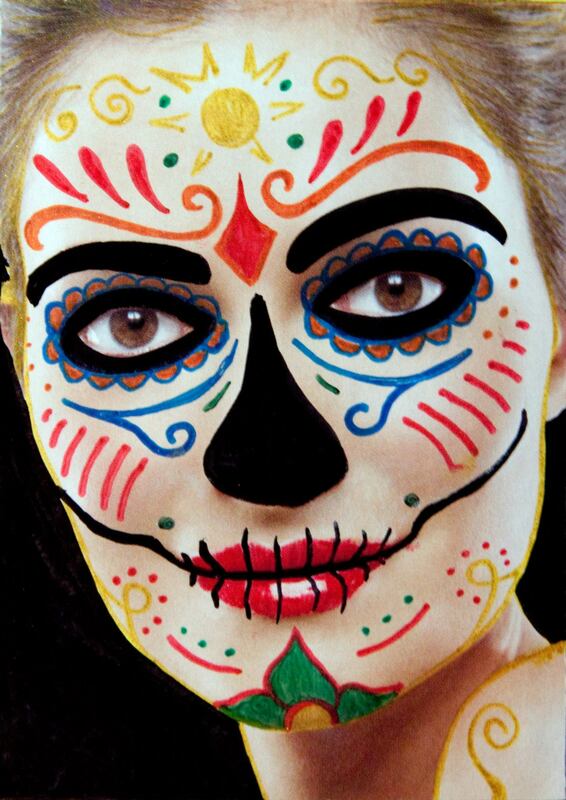 Dia de los Muertos (Day of the Dead) is a Mexican holiday that honors the deceased. It is not only celebrated in Mexico but in other parts of the world too. It takes place November 1st and 2nd. One thing that is very identifiable for the holiday is the calavera which is the representation of the human skull like in the sugar skulls which are made from sugar and colorfully colored with colored sugar, icing and foil but can also include representations of skeletons which may be dressed in clothing and doing everyday activities. 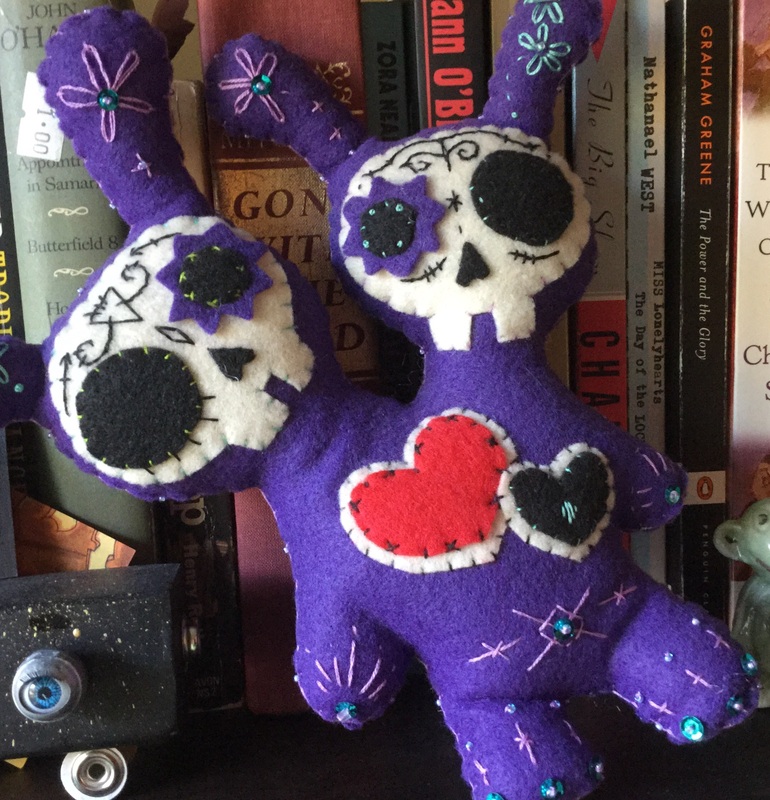 During the holiday family and friends decorate altars and cemeteries with the deceased’s favorite foods, drinks, personal items and sugar skulls. The altars and cemeteries are also decorated with marigolds which are believed to help guide the spirits to their altars because of its vibrant colors and scent. The most common marigold used is the African Marigold which is also known as the flower of the dead. Even though the holiday deals with the dead it is a very upbeat and joyous celebration. So for this prompt you can create a piece that depicts the holiday or certain aspects of the holiday. As always though you can create whatever you want. The prompts and theme are just suggestions. 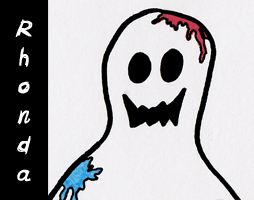 If you wish to decorate skulls I have created four templates that you can print out and decorate. You can click here or the image below to download them. 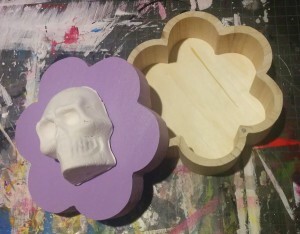 For this prompt I plan on creating a small calavera storage box. The skull is made out of paper clay which I created a few weeks ago since it took over two weeks to dry completely. The wooden flower box I purchased some time ago for another project that I then decided not to do. Unfortunately the flower box doesn’t look like a marigold so I am unsure yet if it will be painted in the marigold colors or in another color. This project will probably take the entire 2 hours. It was partially painted for the other project that I decided not to do so that is not the color it will be. When ever I am attempting a style I’m not familiar with I google images it. In this case you will come up with a number of face paints, drawings, decorations and photographs. Scrolling down the page look for designs and styles you find appealing and translate them into your piece. Notice the color pallets and contrast that highlight the style. Incorporate choice moments and use them as inspiration. I’m fond of using make up and clothes catalogues as my base faces. I can draw on them and choose the most successful. If you make an atc sized window from cardboard or contact paper you can use it to choose your composition. Interacting with the side can have very positive effects. After cutting out the magazine I attach it to a sturdier paper or board. As far as what to use to draw on this material, I suggest ink. Sharpies and sparkly colors work great. I’ve also heard nail polish is a great way to get bold vibrant colors or sparkles that don’t end up all over your work area. 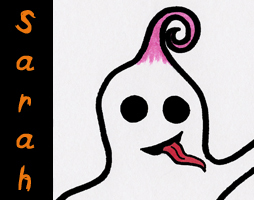 I’ve already created some goodies and plan on following along with Melissa. 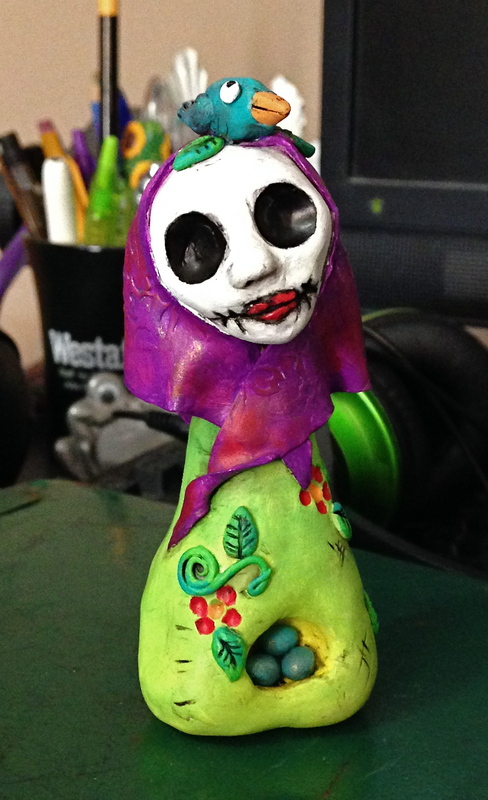 I was born and raised in Las Cruces, New Mexico and in Denver, Colorado where I grew up seeing and being exposed to a lot of the visual traditions of the Day of the Dead. I’ve had to go back as an adult to learn about the reason for the holiday and traditions. This little lady was made for Melissa as a gift and was inspired by some gorgeous artwork I saw on Pinterest. She is actually the direct combination of a couple of different really awesome sculptures and then, of course, my own inspirations… because everything is more fun with a bird on your head. Day of the Dead is my second-favorite holiday. I find myself throwing sugar skulls, Monarch butterflies, and marigolds on something at least on a weekly basis. I’ve been wanting to make some more Skullbunnies, so I think I’ll take this opportunity to make it happen! Also, I love all the creations! Ruth, that sculpture is precious, you know I LOVE your sculptures.